If all you know is what you have read in the papers or seen on the TV News, you are not fully informed, and you are quite possibly misinformed. We believe you have also been intentionally DIS-informed. In 2015 Architects and Engineers for 9/11 Truth published Beyond Misinformation, an excellent overview of the evidence for controlled demolition of the World Trade Center Towers 1, 2, and 7. More recently (2016) Europhysics News has published “15 Years Later: On the Physics of High Rise Building Collapses,” an overview article by Steven Jones, Robert Korol, Anthony Szamboti, and Ted Walter, giving this information wide circulation in the science community. 9/11…So What? People want to know how they can respond once they have been made conscious of the truth of 9/11. I get that question a lot. Here are my thoughts on that subject. Presentation by Mark Basile about his confirming experiments with WTC dust. Case Report by the National Institute of Environmental Health Science (Environ Health Perspect. 2010 April; 118(4): 499–504.) identifying carbon nanotubes in the lungs of first responders. These are not found associated with other building fires. 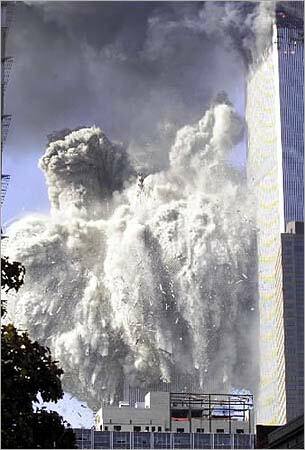 The carbon nanotubes were also found in the WTC dust. Production of carbon nanotubes requires high temperatures in the presence of carbon and a metal catalyst. These conditions are present in the combustion of nanothermite. Kevin Ryan and Niels Harritt have shown that combustion of nanothermite actually produces carbon nanotubes. (That is a very conservative title.) This is a disproof of the official explanation for the collapse of the North Tower through mechanical analysis. Published in the International Journal of Protective Structures. Summary: The energy absorbed by the buckling of the columns would have arrested the collapse within one, or at most two, stories of the onset of collapse. This paper shows the Bazant papers (claiming once initiated, total collapse was inevitable) to have fatal flaws based on unrealistic assumptions. 1. Constant acceleration [which we see by direct measurement] shows that the average resistive force during the fall through the first story is equal to that which just barely allows the initial movement and thus precludes development of any significant velocity in a natural fall. Arrest should have occurred at the end of that one floor drop in a natural collapse. In fact, this is a serious problem for the official story since there is no natural way to generate a significant velocity in the first story due to heat weakening caused buckling. 2. Using actual velocity measurements, the kinetic energy available after the measured one floor drop is not sufficient to break through the lower floor’s columns. Bazant’s calculations show continued propagation only by assuming free fall generated velocity through the first story, nearly doubling the mass of the upper section, and underestimating lower section column strength by about 70%. 3. Even if somehow a significant velocity could be developed through the fall of the first story there is no deceleration during the collision between floors, which is necessary to generate the dynamic/amplified load to deform the columns and propagate through the next story down (which was capable of supporting several times the static load above it). Up to this point Bazant has not been taken to task for the first and second issues, as earlier critiques had largely concentrated on the third. Bazant has been given a pass concerning the velocity developed during the first story fall to be at least what was measured, and although I had been complaining about Bazant’s extreme inflation of the kinetic energy available and underestimate of column strength, it hadn’t been explained well publicly. Open Letter to Bazant from Tony Szamboti on the errors in his analysis, requesting a response. ASCE Journals refuse to correct fraudulent paper they published on WTC collapses. Letter by Attorney William Pepper to the Office of the Inspector General of the US Department of Commerce, which oversees NIST + A description of misrepresentations by NIST of the structures that are key to their proposed WTC 7 failure mechanism. Tony Szamboti and others have been investigating the mechanism NIST asserts caused the collapse of WTC 7. It has been discovered that in order to make their mechanism to work, they needed to deceptively alter their description of the construction details in several ways. These differences show up when NIST’s description of their modeling is compared to recently released drawings of the actual structures. The deception is central to an effort to challenge the NIST WTC 7 investigation on legal grounds as being evidence of an intentional coverup. Following the letter, in the same pdf file, is an extensive discussion of the key omissions. This is an ongoing effort. Architects and Engineers for 9/11 Truth has sponsored (and continues to sponsor) a major project to model the structure of WTC 7 as a check on the modeling done by NIST. They contracted with Dr. Leroy Hulsey, a professor of structural engineering at the University of Alaska, along with two collaborators, an engineering post-doc and a PhD candidate, to construct two parallel computer models of the building and test its response to fire and other stresses that might account for its observed behavior on 9/11/2001. The entire process is completely open and transparent. The amount of detail presented might seem overwhelming to a casual audience, but it should provide a basis for confidence in the process and the results to anyone with technical competence who wishes to understand the issues in detail. The September 2017 “final report” on the fire modeling and the hypothesis that fire caused the collapse. Later there will be a second “final report” dealing with issues of progressive collapse. Already this project has revealed that the NIST modeling was false and deceptive in many respects. This video has been enhanced from the AE911Truth version in that the slides are full screen and highlighted with pointers that mimic the comments in the live presentation. Incontrovertible / an excellent (British made) full-length, broad scope exploration of 9/11, related events, and implications. Most non-technical overview films have mixed good evidence with weak evidence and/or speculation. This one is solid. It focuses on WTC 7, as evidence of demolition and insider involvement, but its overall scope is very broad. Beautifully produced. Analysis showing evidence of thermite in the WTC rubble pile, by Steven E. Jones, Ph.D. 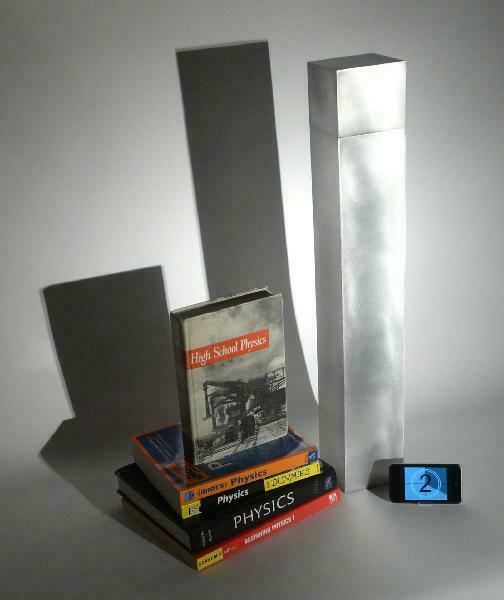 I (DC) started out doing measurements of the 9/11 videos using a tool called Physics Toolkit. More recently I have been using a much more capable and easy-to-use tool called Tracker, part of the Open Source Physics project. Tracker allows you to mark multiple tracks with an unlimited number of points on a full-screen video, and it allows you to zoom in while placing the marks. No more magnifying glass to the screen! It also has a large collection of analysis tools. You need a little physics background to be able to use it intelligently, but no particular background to use the software. There may be a bit of a learning curve but if you’re interested, give it a try. Here is a brief tutorial. Even Hitler understands that physics trumps propaganda, disinformation, “official explainations” and psudo-science.